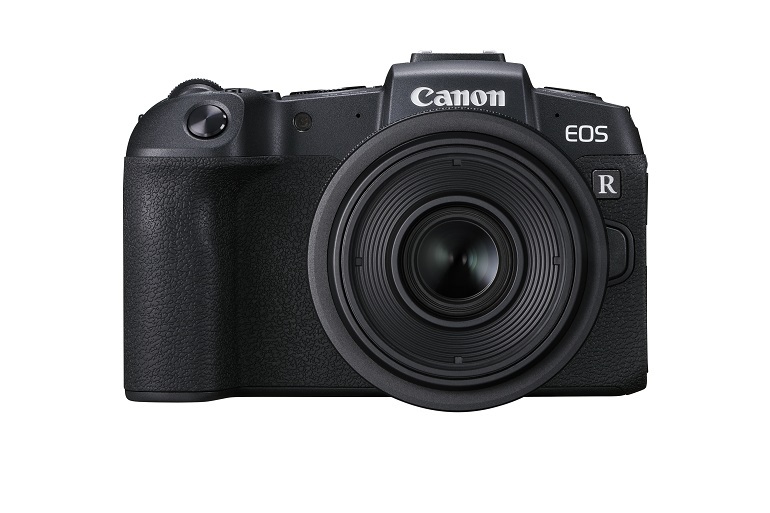 Canon’s newest mirrorless camera inherits the high-performance of the EOS R system in a compact and lighter body. Packed with 26.2-megapixel Dual Pixel CMOS sensor, 0.05s focusing speed and EV -5 focusing capabilities, the EOS RP is Canon’s most accessible full-frame mirrorless camera. 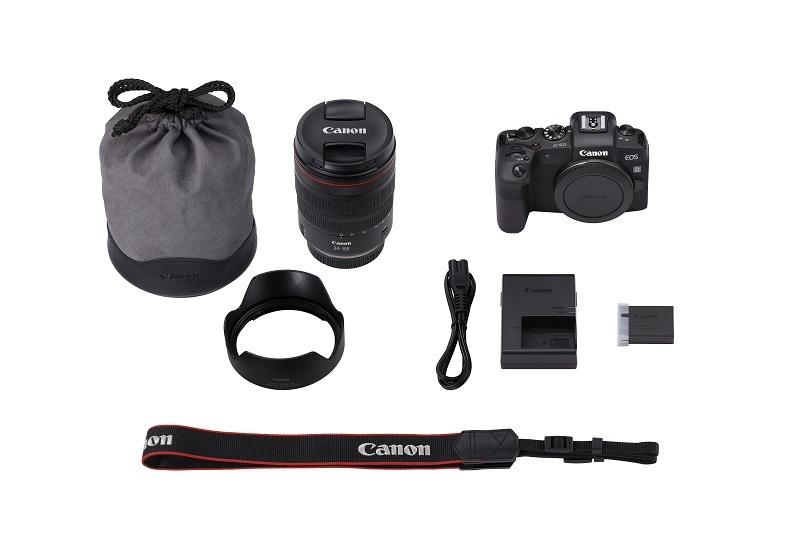 Ho Ho Chi Minh City, 20 February 2019 - Canon today launched EOS RP, the second addition to its new EOS R range of full-frame interchangeable-lens mirrorless cameras. While it is the most compact and lightest model in the EOS full-frame series, EOS RP punches above its weight in performance. It features the new RF lens mount and the finest Canon proprietary technology, a DIGIC 8 image processor with Dual Pixel CMOS AF that delivers unparalleled optical excellence in a well refined body with enhanced ergonomics for easy operability. 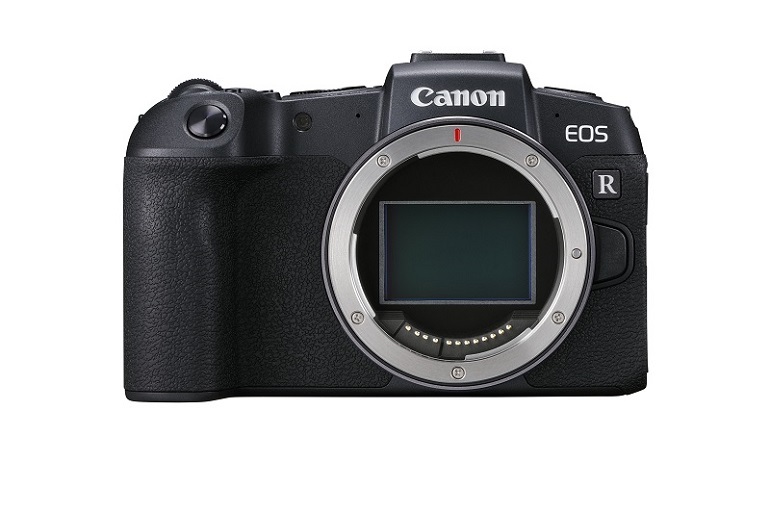 The RF mount is among the features inherited from Canon’s EOS R System. The RF mount sports a short flange focal distance of 20mm and was designed with the intention to allow more possibilities in lens design and innovation. Existing EOS users would be able to utilise their existing collection of EF and EF-S lenses using the optional mount adapter, leaving them spoilt for choice. 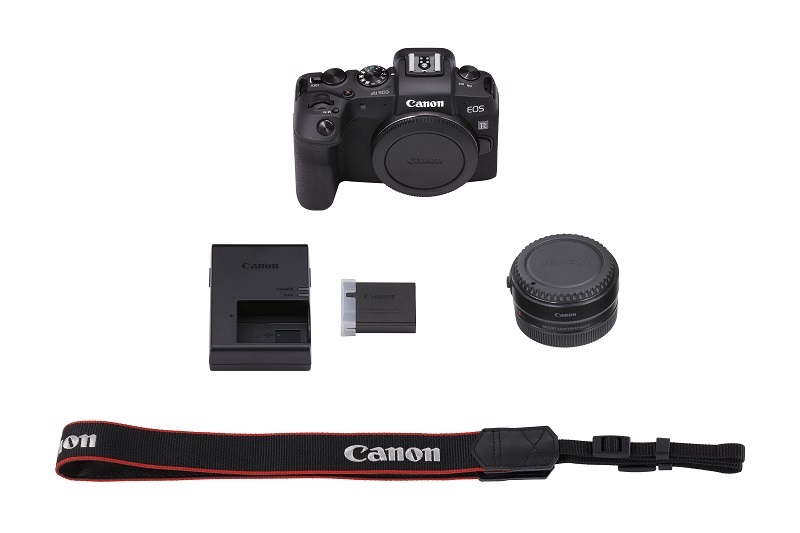 EOS RP embodies the familiar, reliable features of Canon’s EOS performance and excellent ergonomics, delivering an unparalleled image quality that caters to both advanced photographers and those venturing into full-frame cameras. With the Feature Assistant, new users would be able to easily navigate to have photos of their desire while experienced users would be better poised to make full use of each feature to produce better images. Another inherited point is Canon’s advanced DIGIC 8 image processor that enables EOS RP to deliver superb image quality in any situation. Its Auto Lighting Optimiser feature balances the brightest and darkest point to accentuate the details of the images to deliver a well exposed image, even in backlit conditions. EOS RP is equipped with a 26.2-megapixel Full-Frame CMOS sensor to capture vivid images with crisp details. Its native ISO range of 100-40,000, which can be expanded to ISO range of 50-102,400, produces low-noise images with rich details, even in low light conditions. The Dual Sensing IS of EOS RP that detects camera shakes from its gyroscopic sensor and the CMOS sensor to for Image Stabilisation that allows user to capture images at shutter speed of up to five stops slower, most useful especially in low-light situations. The in-camera Digital Lens Optimiser corrects aberrations, diffraction and optical distortions as you shoot, producing excellent image quality right out of the camera. With Dual Pixel CMOS AF that provides a smooth and lightning fast autofocus speed up to 0.05seconds, users can capture images of fleeting moments of their child’s first step. Create unique compositions without worrying about the focus, using the 4,779 selectable AF positions within the expanded AF area that covers approximately 100% vertically and 88% horizontally of the frame. The minimum AF luminance of EV -5 of EOS RP provides accurate focus even in poorly lit conditions, capturing that smile during that anniversary candle light dinner in a jazz lounge. The Eye Detection AF which even works in Servo AF mode will detect and ensure that the subject’s eye is always in focus even at wide open aperture, especially useful when the subject is moving. When in situations which require minimum disturbance, like shooting intimate moments during a wedding ceremony, in museums or simply to capture candid expressions of people without being intrusive, the camera’s Silent Mode enables users to shoot in stealth, without the sound of a shutter release. Besides, for users looking to create images with a large depth of field where everything in the image is in focus, the Focus Bracketing feature of EOS RP would come in handy, especially when shooting macro. It automatically shoots a series of photos based on predetermined settings such as number of shots, focusing range and first focus point. The series of images could be stitched together to form the final image using the Digital Photo Professional software. The EOS RP shoots in ultra HD with 4K at 24p/25p video footage, and with Dual Pixel CMOS AF, users can focus accurately and shoot smoothly. With Touch& Drag AF, users can create pull-focus effects and also enable focus transition simply by moving their finger from one to another part of the frame on the LCD screen. Combination IS provides users with stable footages even without a tripod, through the innovative and improved communication of the RF mount between the sensor and the lens. When recording video with the RF lens, users can adjust the AV setting to make ⅛-stop aperture adjustments, allowing users more precise control over exposure to match the lighting conditions of the shoot. When shooting manually, the MF Peaking function becomes essential, ensuring accurate focusing by highlighting areas in focus. Weighing only 485 grams and built significantly smaller, EOS RP is easier to handle, especially for users who are new full-frame cameras. 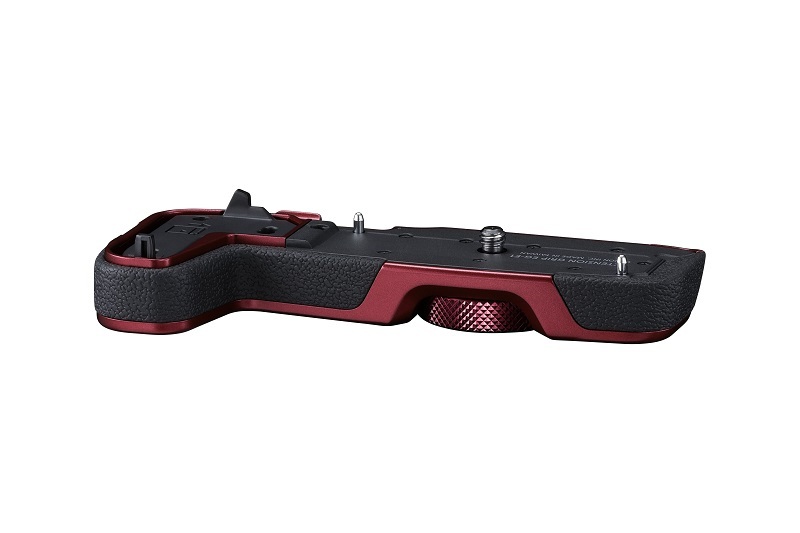 For users with larger hands, an optional Extension Grip (EG-E1) comes in handy to ensure firmer handling. EOS RP’s Vari-angle LCD screen offers users the opportunity to shoot from unusual angles and to try out unique framing. Armed with a customisable electronic viewfinder (EVF) that provides 100% coverage, EOS RP’s EVF displays accurate details through its 2.36million dots OLED display, especially useful when working under bright glaring. Apart from charging the batteries with the included external charger, EOS RP can be quickly charged directly with using the optional USB Power Adapter PD-E1, in a speedy manner through its Hi-Speed (USB 2.0/ Type C) Interface. 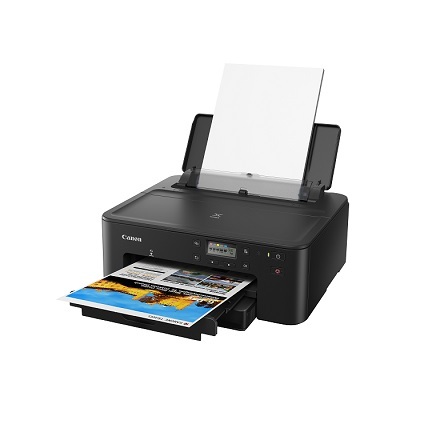 Transferring images from EOS RP to either a smart device or computer is a breeze via Wi-Fi and Bluetooth Low Energy (BLE) technology. Users can perform any network-related functions by utilising Canon Camera Connect app designed for mobile devices. When paired, the automatic data transfer function can send photos to users’ smartphone simultaneously while they are still taking photos. This helps with photos management without having to manually transfer images after shooting. Apparently, with such innovations that initiate more comfort but still ensure stable and sharp image quality and comes with a more affordable price, EOS RP is the perfect choice for photography lovers who are always on the move or businesses specializing in outdoor wedding photos. “As a nod to one of Canon’s historic ground breaking camera “Type P” which was a big hit in 1960 and inspired by the French word ‘Populaire’, which means “famous”, we hope that EOS RP will become a symbolic tool for full-frame mirrorless camera fans in Vietnam. We are confident that EOS RP will enable more users to experience further and get more benefits of a full-frame mirrorless camera”, Mr. Hiroshi Yokota reiterated. Special promotion: from 22nd February 2019 to 05th March 2019, any purchase of EOS RP (body or KIT) will come with a free adapter (equivalent to 3,800,000 VND) and one Photo mini printer (equivalent to 3,300,000 VND). With the mission to upgrade image quality and video footages to the highest level, RF lenses are proudly included in Canon’s vital products that go side by side with cameras and has hit the number of 140 million of sold units. 140 million is a significant milestone for Canon and serves to underscore Canon’s dedication to always listen to its customers and bring up products that suit their demands. In 2019, Canon also unveils six new RF lenses. New optical designs for these lenses are made possible by the large diameter mount and short back focus of the RF mount system. The ultra-wide zoom lens features a large f/2.8 widest aperture It provides the extreme wide angle view in close tight situations and suitable for the majestic landscape. The extremely large focal length is versatile for everyday to wedding photography. Paired with Image Stabilizer, it performs exceptionally well in low-light condition. An L-series standard zoom lens compact enough to carry around while maintaining a large f/2.8 widest aperture. It is expected to be an all-rounder for various shooting situations and genre such as landscape, portraits, weddings and its performance truly shines during low-light condition when shot wide open. It comes with significantly smaller body. Equipped with the maximum aperture of f/2.8 and Image Stabilisation, it provides unprecedented shooting experience for sports, wedding, wildlife and even landscape. While inheriting the high overall performance and attractive specs of the aforementioned medium telephoto lens, it is Canon's first lens to feature the Defocus Smoothing (DS) effect made possible by new coating technology that produces softer and smoother bokeh that were considered impossible with conventional optics. L295 is a compact and lightweight zoom lens with a wide XXmm to a high XXmm (10x zoom). This is a highly versatile lens that would value add to the EOS R system for both still and video shooting.